Trust is the essential ingredient of every relationship. At Aqua-Tots Swim Schools we take pride in cultivating lasting bonds with our swimmers and their families. Read more on the heartwarming journey our very own instructor, Coach Clare has had with her student Ernest at one of our schools in Arizona. The benefits of baby swim lessons are a common topic of discussion among parents! In the past, formal swim programs that provided parents and infants/babies structured time in the water together were rare. Recent research has proven early swim lessons to be effective, and now, there are many parent and baby programs from which to choose! 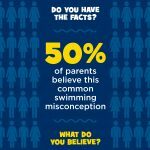 Parents, We know finding the best swim school to fit your family’s needs takes much careful research and consideration. 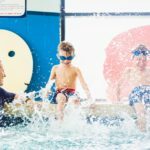 It’s important to find a place that is family friendly, flexible, and convenient; but most importantly, the school needs to provide quality lessons that help your child safely learn how to swim. That’s why at Aqua-Tots, we have designed our programs and facilities with you in mind! To us,it’s essential that your experience at Aqua-Tots is exceptional -Every Lesson, Every Time. Check out what makes us so special!